I have been writing freelance for our beautiful travel magazine, Travel News Namibia, since it became a quarterly, glossy publication in 2012. Here is a recent photographic feature where i share some of my favourites of the past few years, illustrating how I relish the variety each season brings. 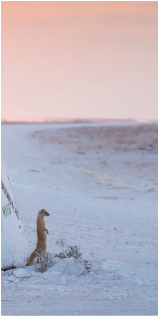 ​​Christmas time in Etosha in the past, was traditionally a quiet time with local Namibians enjoying some well-earned rest. We have often been one of only a handful of cars out on early morning game drives. 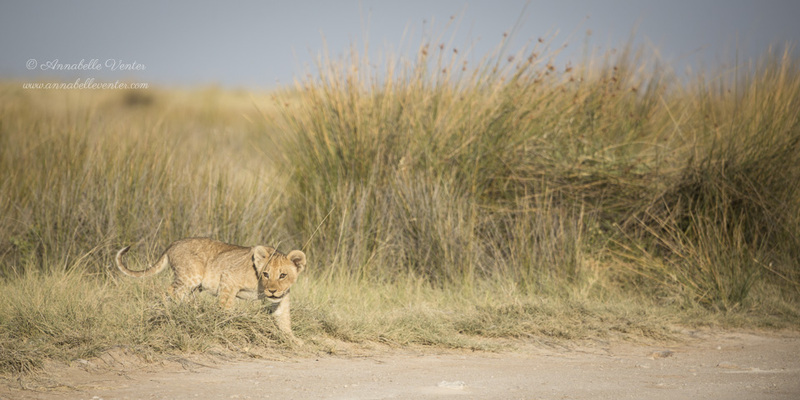 Up until the mid eighties, Etosha was even closed to visitors during the rainy summer months! But things are changing and the camps are now fully booked out well in advance, with lower summer rates attracting more visitors. This year we arrive in Halali on Christmas afternoon to find the rains have already beaten us to it! What a joy for the animals. This has been a desperately dry year and the game is thin. Overnight the Halali plains are transformed into temporary pans, the game starts returning and mopane trees drip water on your head back in camp. ​A bat-eared fox family allows us to meet their cub before they pick their way gingerly through the water. 3 baby jackals test their combat skills a little way away from their neighbours. Blue crane pairs have taken up residence to nest again and take turns at sitting on the eggs. ​​A red-necked falcon quietly watches us while keeping a beady eye out for food. ​With so much water around we almost don’t turn into Rietfontein, but a beautiful surprise awaits us there. The mother leopard I photographed with a tiny cub, 2 Easters ago, is drinking at a pool in the carpark. Sadly her 2 cubs of that year did not survive. But now she looks round and could be pregnant again. I am hoping so anyway, but it’s hard to tell! ​​Back in camp, tiny mopane trees, with just two leaves, push their way towards a long life through the soggy earth. A group of red-billed wood-hoopoes, endemic to Namibia, draw our attention to a nest close-by where they are feeding the youngsters. 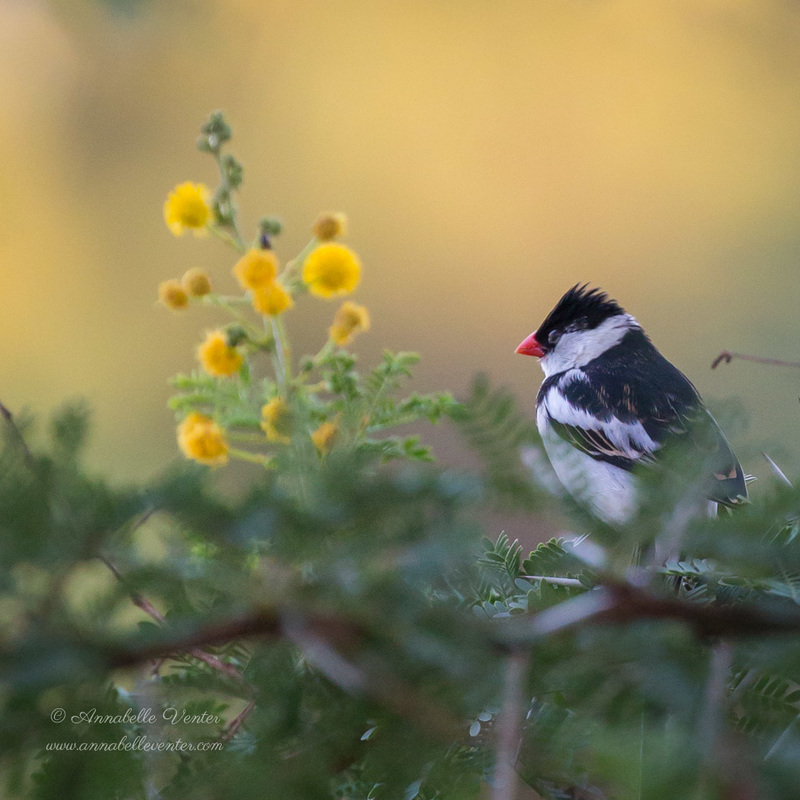 Halali is known as a good place to see this bird as well as another endemic, the white-crested helmet-shrike. 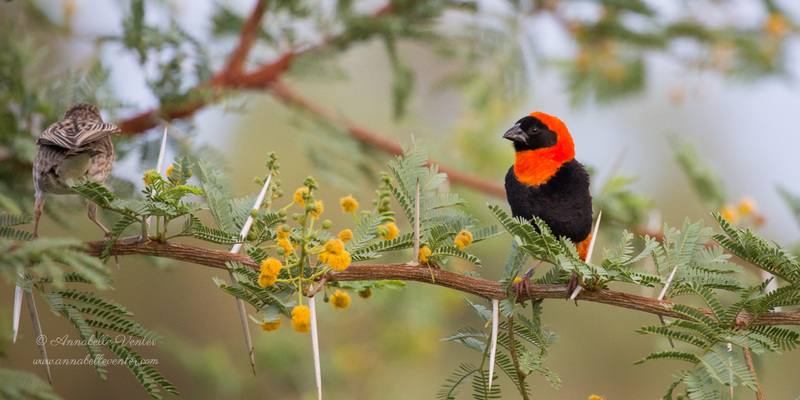 Spending mornings in camp is rewarding if you are a birder. ​On our second morning we automatically turn west to the Salvadora plains where we hope to spot some old acquaintances. The instant I see the glint of a golden coat on the open plain my heart skips a beat and tells me it’s ‘our’ young leopardess, the older daughter of yesterday’s mum. Sure enough she is hunting today and springbok is on the menu. She’s a very relaxed leopard around cars and people ( and kori bustards!) and uses our vehicle to slink closer to her prey. ​No one moves as we watch her get to within metres of her meal, but something is not right today and she aborts the hunt. ​​The last damp morning reveals another of those glimpses that makes the heart miss a beat. Three cheetahs line the horizon, near Salvadora. They seem to be hunting but the cackling of hyenas at a den nearby forces them to turn away again. This is a coalition we have not seen before and are keen to find out more about them, but unfortunately it’s time for us to head homewards. ​Fields of Ammocharis coranica have me dodging the increasing raindrops but I’m in my happy space and not deterred in the least! ​The start of summer in Namibia is a magical time and one when we should be out in the bush witnessing the new life bursting out around us. I even saw the first omayovas ( giant wild mushrooms) for sale – now that’s a true sign that summer is here! All you really need is one indigenous tree. Preferably a thorn tree. 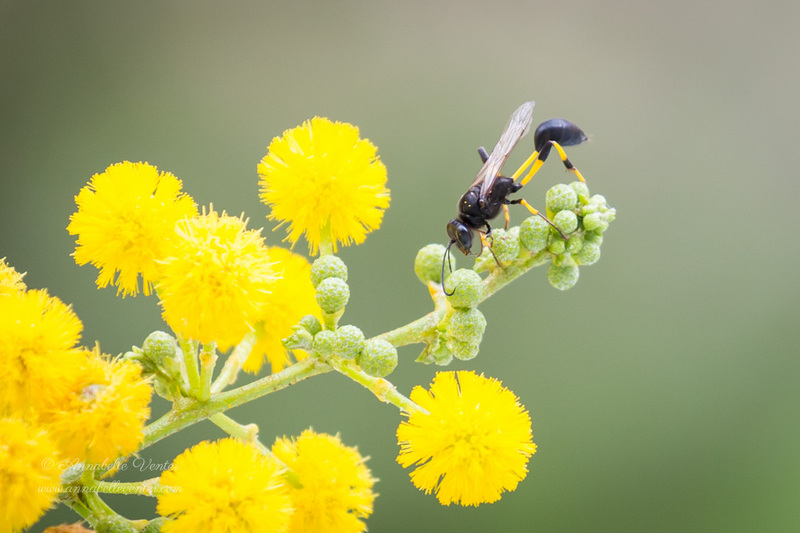 The Acacia karoo we planted 4 ½ years ago has the added advantage of being local – occurring naturally in the river beds around Windhoek. It’s 05h50, a week before Christmas and the sky’s just beginning to lighten. The birds are awake of course and already on their way here. 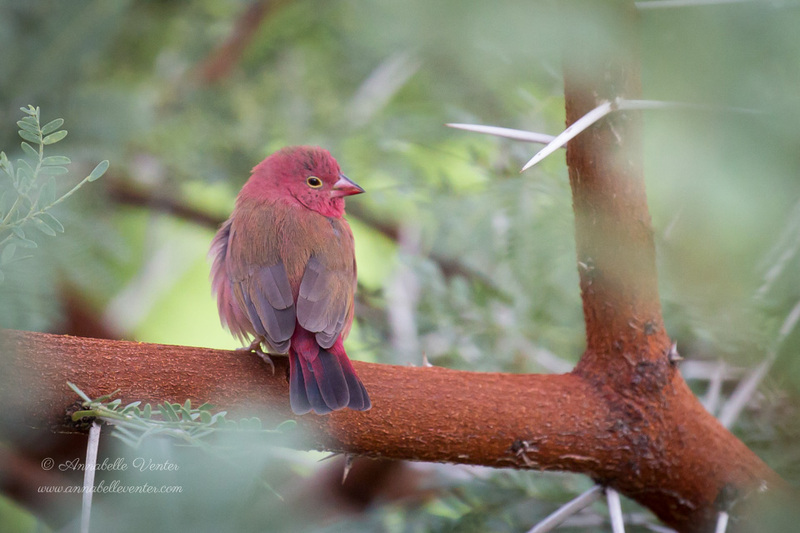 Some live nearby – just around the corner a flock of red-headed finches roosts each night. Others, like the European bee-eaters have travelled far but don’t stop over in our garden. Gardens in the neighbourhood have been ‘cleaned’ of vegetation (I have never understood what is ‘dirty’ about life-giving vegetation, but it’s something of a national obsession here), so the tree and its 20 square metre spread offer a life-line for the small creatures that visit. First to arrive are tiny pale blue and brown fluff-balls, the blue waxbills followed by their cousins the common waxbills, and the odd red-billed quelea (above). Nothing common about them at all, their beautiful red beaks and rumps flash through the tree. Usually just a handful, today they have brought the whole gang along – easily 20 or more. Perhaps it’s family visiting for the holidays? 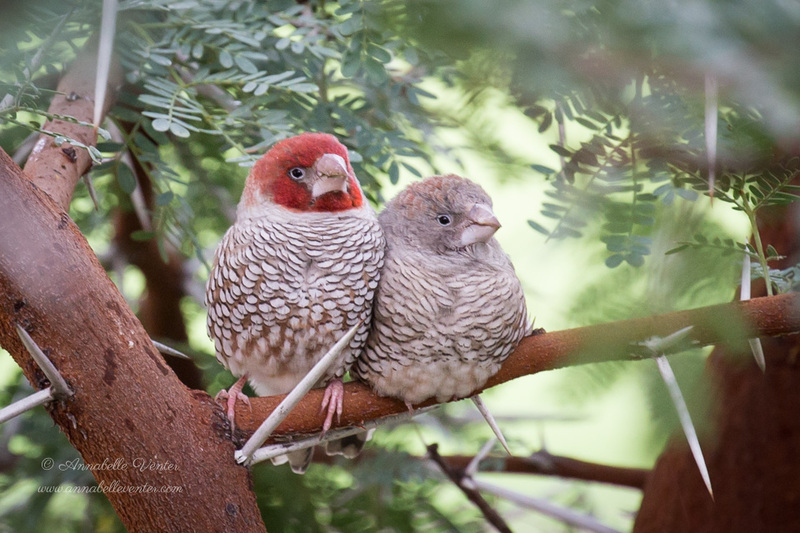 ​Yes, we unashamedly admit to feeding the birds, helping them through our desperate winters until the rains fall and soothe over the landscape. With so much natural vegetation destroyed around us (for no reason at all, other than to keep idle folk busy) there is simply nothing for them to eat. 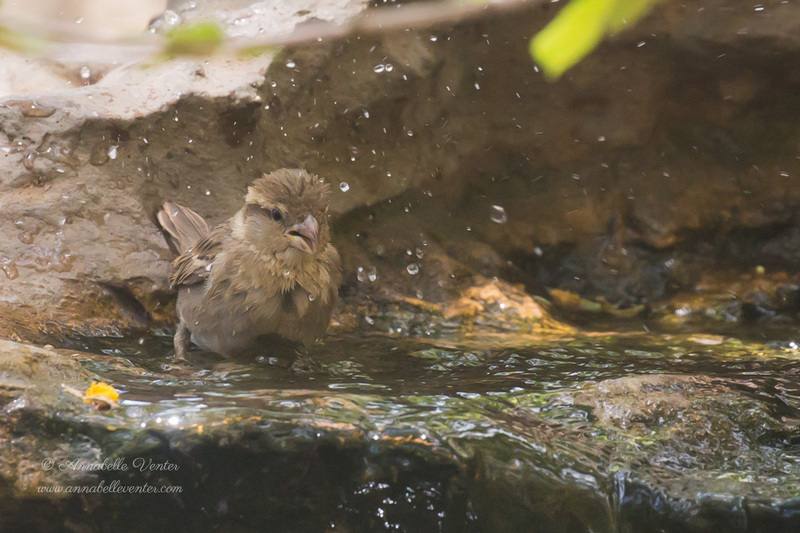 A small fountain helps keep the birds alive (and clean). This tiny rock pool uses little water and the birds queue up to splash about. ​Suddenly a high pitched squeal sends everyone scattering and a male shaft-tailed whydah arrives (below). He’s smaller than most of the others but insists on eating alone. He delights in chasing away the resident southern masked weaver, Geeljan. Geeljan ( below) has been building next door at a frenetic pace since July and must be exhausted, but he never falters and is probably on his 4th or 5th batch of babies for the year by now. While all this is going on and we savour our first coffee of the day, a line of birds emerges out of the northern sky flying directly towards us. The pink light of dawn catches their wings and as they approach the pinkness intensifies by the second. Flamingoes! About 50 of them... Suddenly they veer off to the east and disappear as quickly as they came. While we are still marvelling at these creatures that have probably flown through the night from Walvis Bay, en route to breed in a (hopefully) wetter Botswana, a distinct twittering reaches our ears. European bee-eaters visiting from the northern hemisphere are doing their daily trip across town. 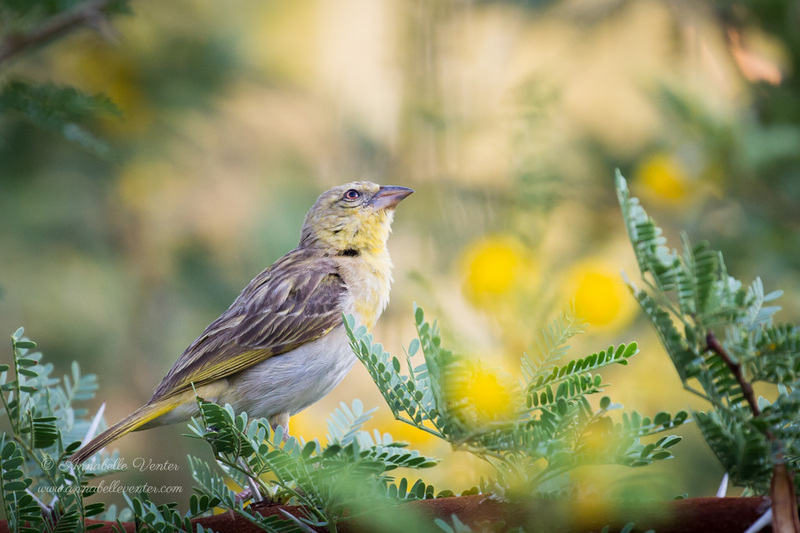 Some of these gorgeous birds roost in a friend’s garden on the southern side of town and make the journey each morning before sunrise to their feeding grounds on the northern side of Windhoek. Tonight they’ll be back again as the sun is setting. 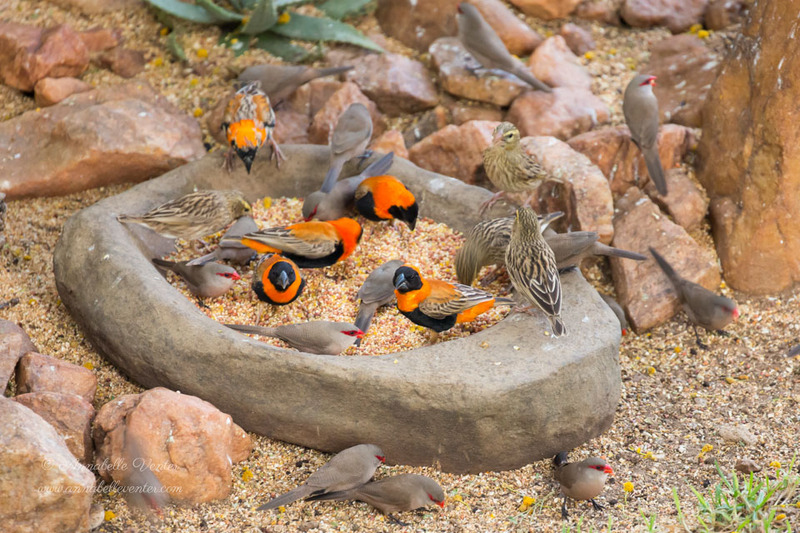 At about 7am the red-headed finches descend in a huge flock and proceed to take over the food bowl, forcing the doves to wait their turn. And so the jostling goes on all day long. ​You just never know what will appear next and our list for 20 square metres (and what we see/hear around it) is now at 60. Most of them seen and a handful only heard. 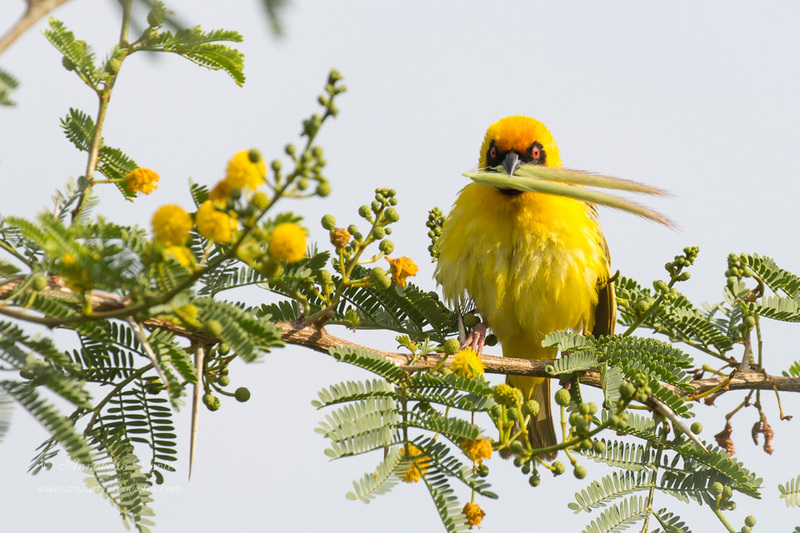 Rosy-faced lovebirds, swallow-tailed bee-eater, Diedericks and African cuckoos, paradise flycatchers and whydahs, Acacia pied barbets, rock kestrels and sunbirds. Even a pair of African Hawk eagles, an African harrier-hawk and a pearl spotted owlet. The raptors come to hunt our little birds of course and now and then a slender mongoose actually catches one for breakfast. Yellow mongooses also come to drink. 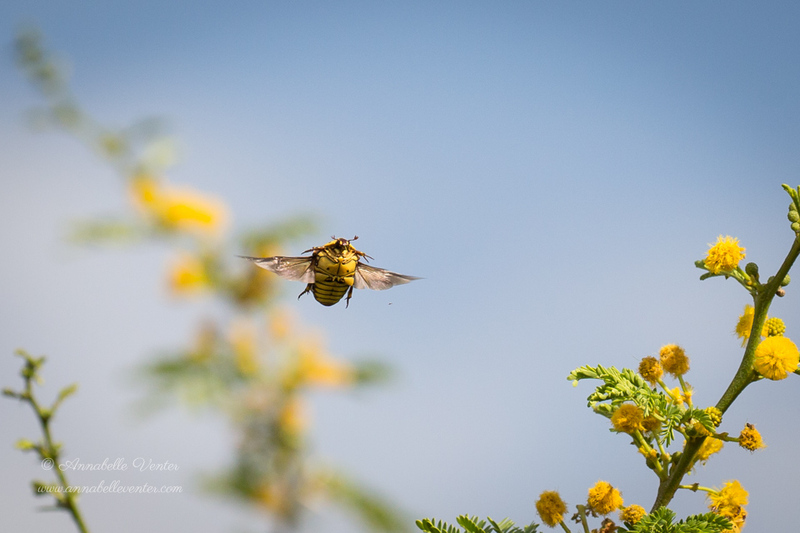 By mid morning the heat brings out the wasps, bees and beetles that come to feed on and pollinate the tree. 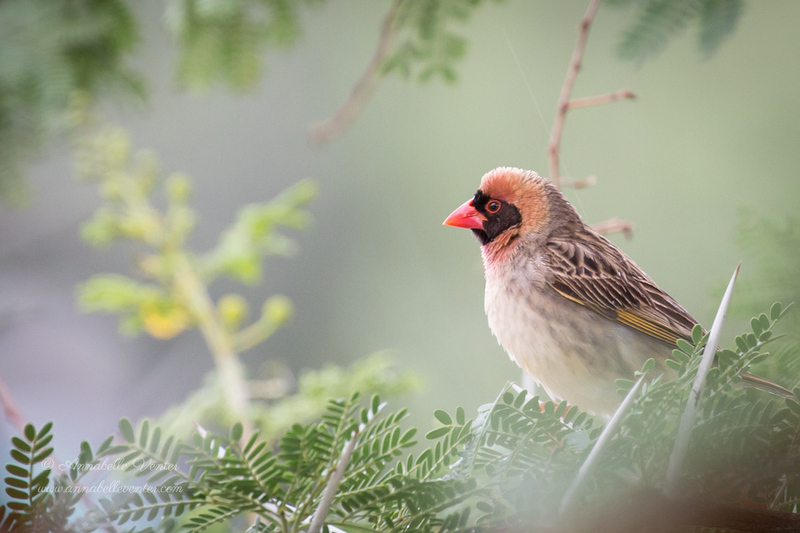 This thorn tree has brought wild life back to our neck of the woods and also brought home to us how important it is to provide habitat for these creatures. Unabated construction and destruction in Windhoek is reducing their natural spaces at an alarming rate and it’s up to each of us to plant indigenous, water-wise plants to help out. Just this one tree has brought nature to us in a concrete jungle and I would like to encourage you all to plant just one locally indigenous tree to kick off 2016. 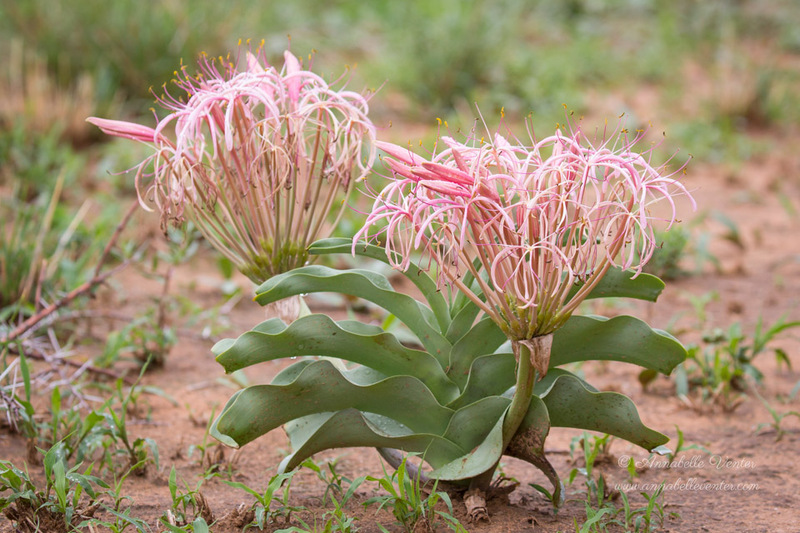 All plants in our garden are locally occurring indigenous species and were bought at the National Botanical Research Institute’s nursery in Orban steet. 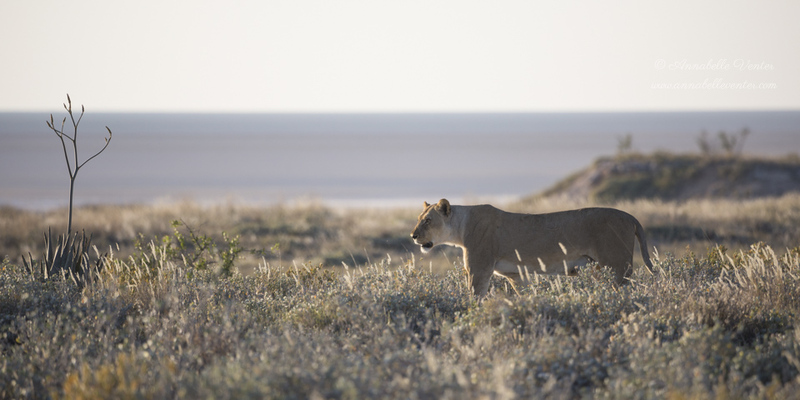 A week might seem like a long time to spend in one restcamp in Etosha, but on a recent camping trip, we discovered that a week is the ultimate way to appreciate the cycle of life on the pans. It takes a couple of days to shake off the city stress and get really tuned in to where the animals are and where the predator action is. It helps to chat to the various friends, aquaintances and staff who keep arriving at the same camp with snippets of info! By day 3 you are into an easy rhythm of gamedrives and camping essentials and by day 5 you don't even notice the dust anymore. By day 7 you won't want to go home but on day 8, very reluctantly you drag yourself homewards, stopping off at every waterhole to delay the dreaded departure. A note for the budget -concious : camping is the ideal way to spend extended time in the park. 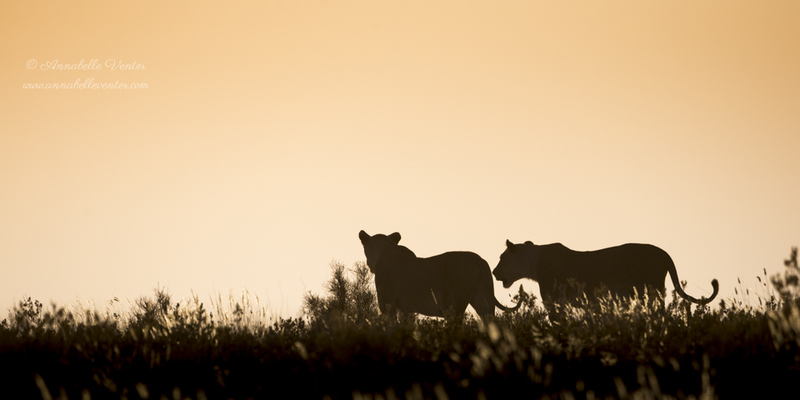 With some of the BEST game-viewing in Africa, MINUS all the crowds. You'll even have wildlife in the camp , like the badger mommy who raided our cooler box while we were standing by, to find cheese for her offspring. Woolies cheese, nogal. And pearl-spotted owlets and barn owls in the tree up above. Driving up in two vehicles sounds extravagant I know, but it makes for marital peace. Bertie and I have different favourite areas of the park and different styles. Styles? Well yes, he likes to stick to the speed limit and cover distance and scan the plains for predators. I like to crawl along through the bushes and trees at the slowest speed the vehicle will reasonably go. ( That's how you spot leopards, birds and the small stuff.) The exact opposite of our personalities! So we get to cover a fair amount of the park around the camp each day, and occasionally we share a car when hubby says it's lonely with no-one to talk to. But after some tense moments at a leopard sighting he's happy to see me off to my own transport again! Mind you this is not something we do often - travelling in two cars. Mostly we drive each other crazy in one vehicle. So as a final note on the car topic - I managed to get a photo of a dusty sunset as Bertie returned to camp one evening. The colours are always magnificent and there is usually no time to stop and shoot the scene. But let's move on because this post is actually about some really amazing sightings that week 20 held for us and a bitter-sweet tale. 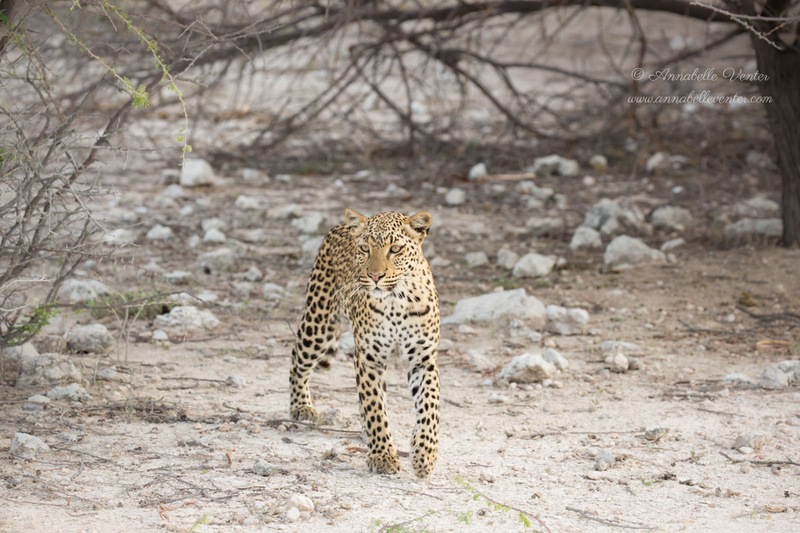 The first morning we were (aplogies for The Topic again) reduced to one vehicle as I had a flattie, but our joint explorations were rewarded by the resident female leopard just leaving Rietfontein waterhole at first light. She's a cute little cat and often just hangs out to wow the crowds. Not this morning though - she seemed to be on a mission to get away from humans. We headed on west to what Bertie calls the 'Golden Mile' trio of waterholes on the pan's edge, Salvadora, Charitsaub and Sueda. We've been here so often and seen very little, although it's well know for predator action. But today the wheel has turned again and now it seems that Charitsaub is the centre of the game universe with all sorts of animals visiting all day long. Just beyond Sueda a little surprise awaited us and we found a lion family enjoying a day out on the pan with the kids. Two daddies, two mommies and 6 little cubs, no more than 2 months old. Climbing trees and playing tag, while the folks lolled in the shade. Over the next six days a story emerged of how hard life on the pan really is, even for the top predators. Next morning, Bertie was first to arrive at Charitsaub to see the two mommies bringing all 6 babies over to the waterhole for a drink. The family group spent the day disguised in the reeds nearby, with the moms making the occasional attempt to hunt passing wilderbeest. The two pride males were nowehere to be seen - presumably out on patrol after taking time-out with the kids. Late that afternoon the family emerged from the reeds to cross the carpark to quench their thirst. It always seems to be time to head home when the light is becoming beautiful for photography and so we left them hanging around Chraitsaub. First thing next morning I was back in the area and found three hyenas striding out across the plains, close to where I knew the lions would have hidden their cubs. Two turned for home and sleep, but the third took an interest in something and moved in for a closer look. Eventually the hyena disappeared inbetween the hillocks around Sueda. Late afternoon found the lionesses resting in the shade of an overhang nearby and we watched as they came to drink at Sueda, before moving off westwards to find their cubs. At this moment, the lionesses suddenly spotted the hyenas - no doubt the same ones that were hanging around earlier in the day, and were off after them like a shot, chasing them far away into the distance and marking our moment to head home ...again. The next morning I found the cubs alone on a rocky outcrop entertaining themselves as usual, giving no hint of the drama that must have unfolded yesterday. Except there were now only four cubs. On the last morning , we arrived just too late to see the lionesses bring down a wildebeest at Sueda and the remaining family was once again reunited in a meal.